Mom's Gone Bronson! : Upcycle your way through the holidays with Terracycle! Upcycle your way through the holidays with Terracycle! Disclaimer: I was given product in return for this review though all thoughts are my own - your views may differ! Thank you! I shared Terracycle with you earlier in the year and [this gifting season] I would like to share them with you again! I think they are a great way to gift something that has meaning, while helping the earth out a little in the process! Terracycle is one of those wonderful placs that takes donations of non-recyclables like juice pouches and turns them into functional goodies to keep those pouches, containers [and more] our of landfills! Terracyle first let me showcase some of those [aforementioned] upcycled juice boxes and a tablet case that was/is made from an old mail sack, right from the post office! What better material than an all-weather mail bag to keep those goodies safe on your travels - what more could you ask for? Well, how about a coin-purse, upcycled from a mail sack, too!? This adorable little coin-purse is dainty enough to slip into most sized bags [and back pockets] and is a great way of protecting your money on-the-go! Great for men, or women of all ages and is very versatile as it is a mostly neutral color! 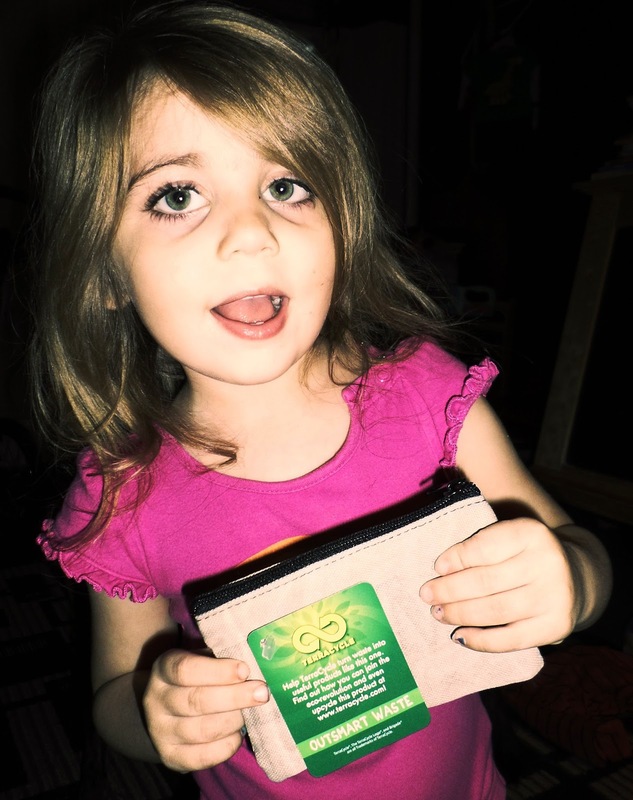 You can find these cute, handmade [and unique] coin purses/pouches HERE for $14 a piece and my daughter especially likes to use hers to carry around her smaller toys that would otherwise fall out of her pocket without a sound! I love the idea behind Tterracycle and encourage you to check them out on Facebook and Twitter, today!